This year is speeding past me at an alarming rate of speed. It’s hard for me to believe that it’s almost March and I’ve been sidetracked from my path already. There has been much knitting and crocheting going on in my corner of the world, but life has also once again stepped in to trip me up. It still surprises me that this situation still surprises me. You’d think by now….But even though it’s already been a year of losses it has also been a year of gain as I believe most years end up being. My big soft scarves knitted up out of Bernat Blanket chenille on size 13 needles are proving to be rather popular. 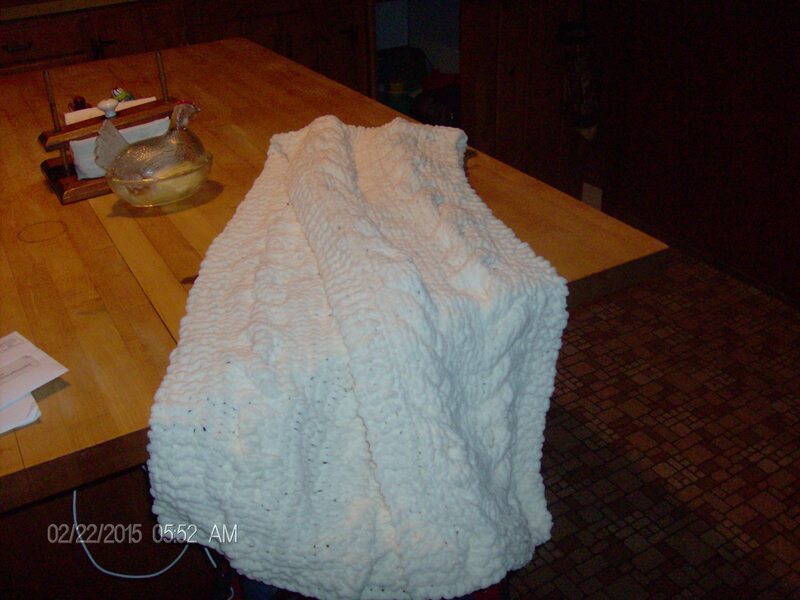 Now that I’ve gotten used to working with the chenille they are quite relaxing and they work up rather quickly. Plus they are warm sitting in my lap…always a bonus during a New England winter. 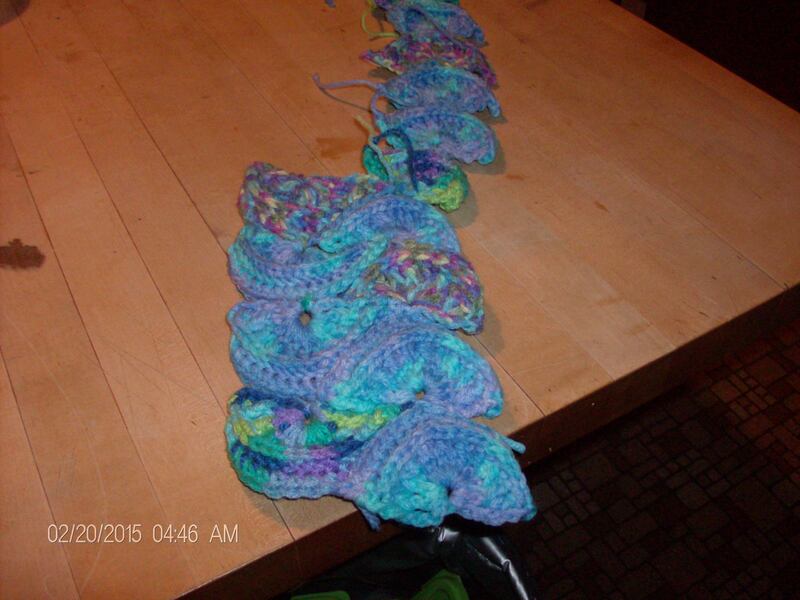 I’ve started a Mermaid’s Tail afghan, by Susan Carlson, for a friend’s granddaughter. She fell in love with the pattern so I’m working it up now. What a fun idea even if I’m not a fan of piecing things together. It has an interesting look to it and kudos to Ms. Carlson for her ingenuity. 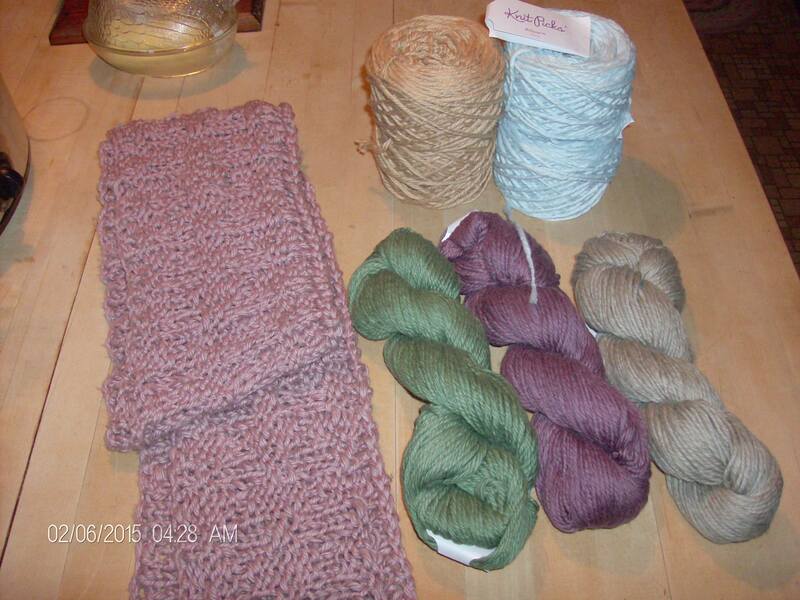 And I can’t say enough nice things about Knitpicks Billow cotton. It’s been a pleasure to work up and I love the Harris Tweed Mobius scarf design I came up with for this project. It’s a brilliant alternative for people with wool allergies and I’m a bit ashamed that I didn’t think of this sooner. Thank you, Eileen, for bringing this to my attention and being such a wonderful source of inspiration. So how many different projects have you got going right now?